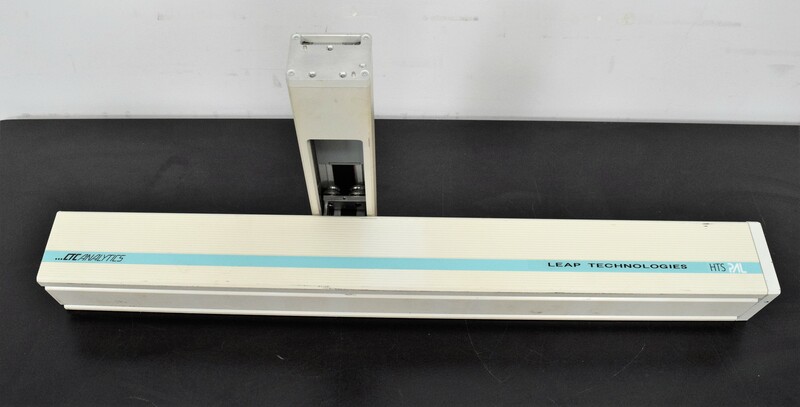 CTC Analytic Leap Technologies HTS Pal MXY 01-01B Motio E.G Autosampler . New Life Scientific, Inc.
- Partially tested, powered on only. This arm and riser is in good cosmetic condition. This was an extra arm that came with the autosampler. This equipment has been partially tested, but has an error with the x motor. Our in-house technicians did a visual inspection, connected it to a controller and power source, the pendant reports an “x” motor error and then the “y” arm rising initializes successfully and then the “z” axis attempts to initialize, since it does not include a “z” axis assembly it reports the z-motor issue. Cosmetically this equipment is in good condition and still usable.